Pneumatic conveying is a recognized method of transferring granules, powder, and other dry bulk materials. Using a system devoted to pneumatic conveying it will be easier to transfer these materials into the pipeline. The system does its work through the presence of a combination of pressure and air. It is a system that is important in the cement, flour, plastic pellets, and sand industries. It cannot be denied that it offers help in conveying chemicals, and food products too. At Airtech, we have vacuum and pressure systems that can be installed in pneumatic conveying systems. Pneumatic conveying systems require the use of energy to be able to carry on with the process. Mechanical torque is a usual source of energy in these systems. It can help move materials that go through the pneumatic conveying system. Notice that in the process, there is air pressure present in the conveying line. This is changed by the air mover in the system which is responsible in generating vacuum or pressure. Yes, vacuum is critical in making the pneumatic conveying system work. It can either put production into a halt or make things easier for the entire operation. 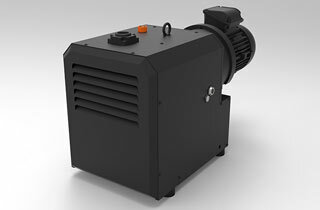 Just by properly choosing a vacuum pump, compressor, or regenerative blower that will make up the system, the work will be done with much ease. It is crucial to know the application with which the pneumatic conveying system should be used before actually making a choice on these common applications. Once all these factors are defined, there is enough reason to get the best vacuum and blower technologies in the market. Why Choose Airtech Vacuum Incorporated For Pneumatic Conveying? When we have been founded in 1982, Airtech Vacuum Incorporated aim to provide various industries with a wide variety of vacuum and blower technologies, like rotary claw compressors, regenerative blowers, rotary claw vacuum pumps, and more. Through the years, our dedicated team of experts works tirelessly on every project we undertake to deliver unparalleled technology for various applications. 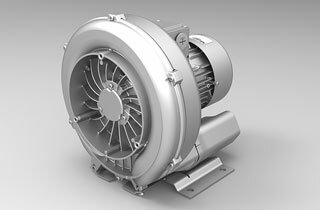 Our regenerative blowers and rotary claw vacuum pumps for pneumatic conveying are simply the best in terms of features, ease of installation, and ease of operation. Our products are backed-up by certifications from the bets in the industry including RoHS, UL, CE, CSA and ISO. As we endeavor to customize our products according to the needs of our customers, we make sure that our knowledgeable engineers will come to your site and analyze your situation. From there, we do the work and deliver the best pressure-based and vacuum technology for your consumption. You are sure you will get no less than Airtech’s 100% guarantee for a high quality product at the most affordable prices you can ever imagine. Shop from us now and see what is in store for you when it comes to pneumatic conveying vacuum and pressure products! Enjoy the entire experience.